Sky Digital: New PID for MTV One U.K.: PID:2323/2306 English,2307,2308,2309,2322 SID:7001 (11895.00MHz, pol.V SR:27500 FEC:2/3 - VideoGuard). Sky Digital: New PID for MTV One U.K.: PID:2305/2307 English,2308,2309,2310,2323 SID:7001 (11895.00MHz, pol.V SR:27500 FEC:2/3 - VideoGuard). Sky Digital: New PID for MTV One U.K.: PID:2363/2364 English SID:7021 (11895.00MHz, pol.V SR:27500 FEC:2/3 - VideoGuard). 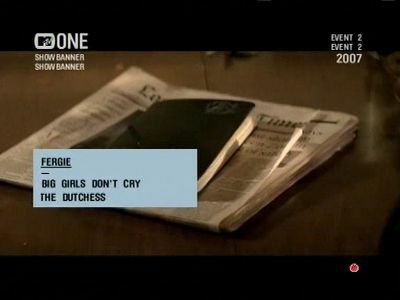 Sky Digital: MTV One U.K. is now encrypted in VideoGuard (11895.00MHz, pol.V SR:27500 FEC:2/3 SID:7021 PID:2364/2365 English). Sky Digital: MTV One U.K. is testing in DVB-S Clear on 11895.00MHz, pol.V SR:27500 FEC:2/3 SID:7021 PID:2364/2365 English. Sky Digital: New PID for MTV One U.K.: PID:2305/2307 English SID:7001 (11895.00MHz, pol.V SR:27500 FEC:2/3 - VideoGuard).